Tickets for the show are on sale now via the venue's website. A limited number of VIP Experience Packages are left. 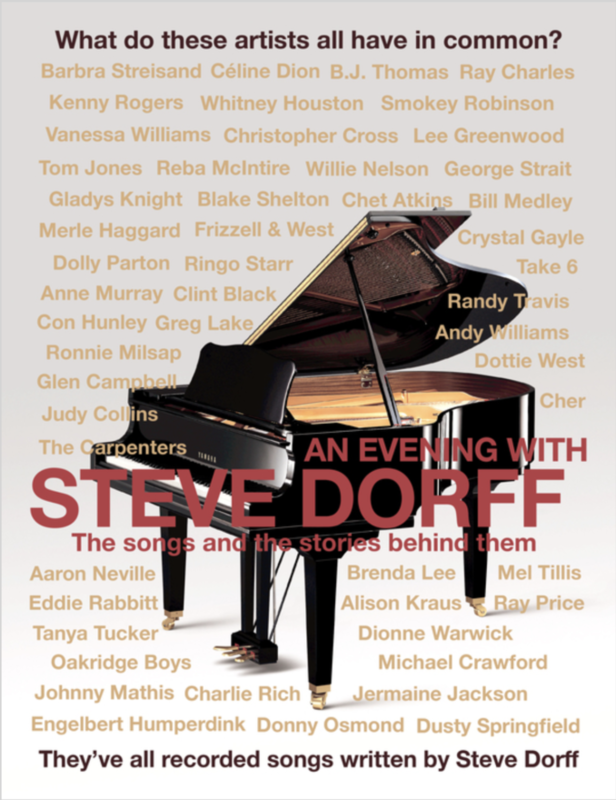 Songwriters Hall of Famer Steve Dorff will perform many of his best-loved hits and sharing the fascinating stories behind them. Dorff's career spans five decades with over 400 songs and numerous No. 1 hits recorded by legendary artists such as Barbra Streisand ("Higher Ground"), Celine Dion ("Miracle"), Anne Murray ("I Just Fall in Love Again"), Kenny Rogers ("Through the Years"), George Strait ("I Cross My Heart"), Eddie Rabbitt ("Every Which Way But Loose") and countless others. Dorff is one of the most diverse and successful songwriters, with over 28 placements in TV series such as Murphy Brown, Growing Pains, Murder She Wrote, Columbo, Reba, Spenser: For Hire, Just the Ten of Us, The Singing Bee, and feature films such as Every Which Way But Loose, Pure Country, Bronco Billy, Rocky IV, Tin Cup, and Honkytonk Man. 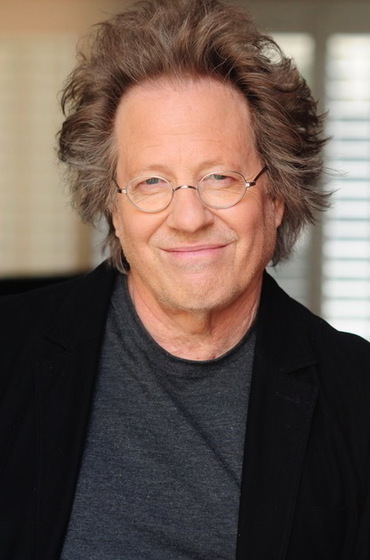 About Steve Dorff: A Grammy and Emmy-nominated industry stalwart, Dorff is the recipient of 40 BMI awards and 11 Billboard awards. Backbeat Books, an imprint of Hal Leonard, published his memoir, I Wrote That One, Too… A Life In Songwriting from Willie to Whitney in November 2017. The book chronicles his journey from his childhood in Queens to Manhattan to Nashville to his eventual arrival in Los Angeles, sharing anecdotes, advice, and insights into his phenomenal career along the way. This book is a stargazer, as Dorff recounts a host of often-hilarious behind-the-scenes stories that feature the many famous singers, musicians, producers, and lyricists with whom he has collaborated. Steve is currently songwriting, producing and performing at venues across the country.